It’s a pretty rare feeling for me to walk out of a theater feeling scammed. But as I pitched my 3D glasses in the eco-friendly disposal boxes outside my theater, that’s exactly how I felt. After seeing the success of “Avatar” early this year, Warner Bros. decided to add an extra dimension to the release of “Clash of the Titans.” Usually, 3D adds to the wow factor of a movie and enhances the experience. This, as moviegoers are now beginning to learn, also enhances the ticket prices – and the more we go, the higher they climb. But the only thing that 3D enhanced in my viewing of “Clash of the Titans” was my disappointment and indignation. I like the technology, and I know that great filmmakers will utilize to create some truly incredible cinema. But here, we see 3D at its worst. When it is just arbitrarily added to any movie, then it truly becomes a boondoggle and a meaningless accessory. It is now the responsibility of the American moviegoer to stop 3D from becoming an arbitrary embellishment, and it has to start here. If studios and theater goers think that we are so smitten by 3D, then they will continue to take advantage of us. 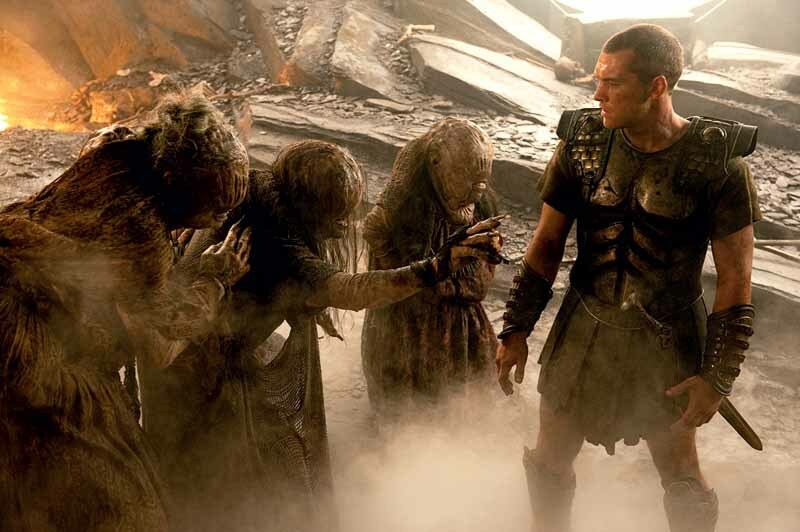 Think a movie like “Clash of the Titans” being retooled for 3D is bad? At this rate, we will have “Precious 2” playing in 3D in the coming years. That idea doesn’t sound all that crazy to a studio executive with you $4 premium ticket price lining his pocket. My eyes might have seen in three dimensions, but my brain saw a movie that only had one. Given how deeply rooted in mythology the story is, I had very high expectations for “Clash of the Titans.” Unfortunately, as you have probably deduced by now, it fails on all levels. The movie goes in no apparent direction for nearly all of its running time, dually a fault of director Louis Letterier (“The Incredible Hulk”) and the laughable script. The dialogue is horribly crafted and can be laughed off at an alarming rate. I can’t complain too much about the acting when the cast features such actors as Liam Neeson and Ralph Fiennes, who make their best attempts at creating a character from the dreadful material they are given to work with. And I might have been impressed by the effects had I not seen them all in the trailer. Just to add insult to injury, the movie wraps up in a completely anticlimactic and unsatisfying fashion. Tags: 3D, Clash of the Titans, Liam Neeson, Ralph Fiennes, Sam Worthington, Warner Bros. The 3-D was pretty awful, I hear. It’s just a shameless way of milking three more bucks out of a ticket, hanging it on in editing. 3-D is fine when it’s intended that way, but with this, you might as well take the glasses off and watch in blurry comfort. I felt that the movie was blurry even with the glasses on. I think the 3D was sloppily thrown together at the last minute, and hopefully the moviegoers rise up against this shameless scam. My recommendation: catch in HBO next April. It’s the kind of movie that would make good background music to folding laundry. Sorry to hear you wasted more than 10 bucks to see this. I saw the 2D matinee show and I didn’t think the movie was even worth six bucks! As if suffering through the vapid plot and lackluster acting weren’t bad enough, you had to endure the bad 3D effects! The main problem is in the script, but Sam Worthington looked like he didn’t even bother to convey any kind of credible emotion that it was irritating to watch. My hubby reviewed this last night and both of us agreed that as cheesy as it was, at least the original still had a pretty decent plot and dialog. And it also had serious thespians like Laurence Olivier and Maggie Smith and they weren’t dumb enough not to capitalize on their acting skills. Good point on Sam Worthington. I felt like he was doing a bad Jake Sully impression. Nice review. I just saw it yesterday. I’m not a big 3D guy, so I just figured I should have worn my glasses under the 3D goggles when things looked blurry. Now I’m finding out everyone had the same problem! I loved the original version as a child and was really disappointed by the lack of heart in the 2010 adaptation. You can read my review as well, if you so desire. This is exactly what worries me about 3D. In a desperate attempt to keep people coming to the cinema now that home movie systems can give a similar effect, studios are tacking on 3D as a last ditch effort to keep the cinema experiene unique. And unless you’ve got a movie like Avatar, nine times out of ten it’s just a cheap gimmick that gets old very fast. I do want to see this film, but in 2D. I’ve read a lot of reviews just like yours that say the 3D adds nothing and, if anything, detracts from the movie. Clash of the Titans isn’t supposed to be groundbreaking, just a bit of blockbuster fun, but I’m sad to see that you really weren’t impressed at all. I wonder if you’d have felt differently in 2D, althought Ruth obviously didnt. When even Michael Bay is skeptical about the artistic merit of 3D conversion, you know it has gone too far. You made me laugh on that one, Marshall.